Illamasqua is delighted to be the sponsor for the forthcoming tour of the Australian Burlesque Festival! 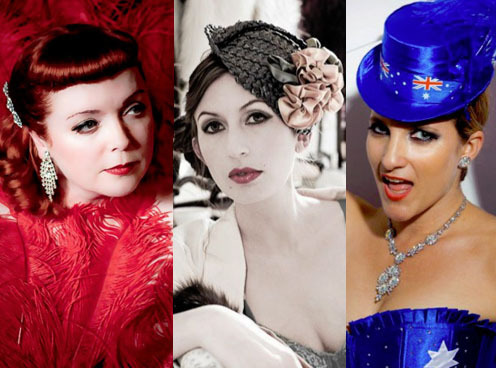 Our fabulous Australian team of artists will be providing transformations for the performers of both the Sydney and Melbourne shows, revealing their alter egos and capturing the essence of burlesque! And even if you aren’t a burlesque performer…there is the opportunity to experience Illamasqua for yourself at the mobile make-up stations, offering the chance to reveal your alter ego for the evening and become a part of the theatre! In the lead up to the tours arrival, there will also be exclusive Burlesque performances on our Sydney counter on Thursday 26th May. To celebrate our sponsorship of the Australian Burlesque festival, Burlesque artists Sapphira and Dolores Daquiri will take to the stage! Performance times are at 7pm, 7.30pm, 8pm and 8.30pm. The Illamasqua Australian team are excitedly preparing for the Burlesque festival, so join them to showcase your alter ego in true burlesque style.